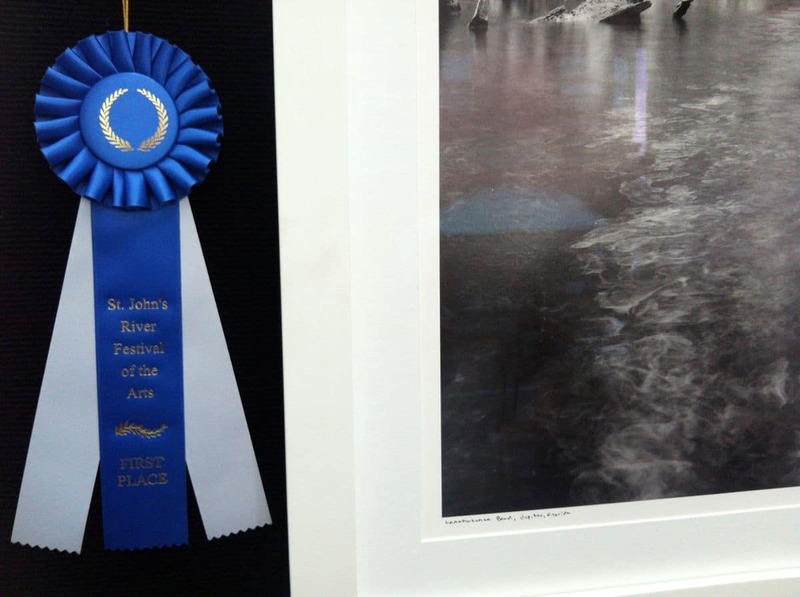 St Johns River Festival of the Arts – 1st Place Photography. Richard Auger. On May 5 and 6, the 2012 St Johns River Festival of the Arts was launched for its inaugural show, and I was honored to be a part of its beginnings this weekend. You would think the festival had been around for 30+ years. The layout was spacious and classy, the advertising was everywhere, and the artists were nicely treated to food and drinks. The bricked roads were a nice change from dirt or hot asphalt from other past shows. Live music was on throughout the weekend, and great food vendors were present. The festival directors and volunteers were everywhere and easy found. Way to go St Johns Festival of the Arts! Late in the afternoon, they came around to announce the awards, and I was delighted to receive 1st in Photography. They had a guy with a scroll and 1800’s outfit announcing the awards in front of your booth – a nice touch. The show was located in the historic downtown of Sanford, Florida, which is a short walk from Lake Monroe (part of a large chain of lakes fed by the St Johns River, hence the name). Like many of the people of Seminole County, many patrons were avid kayakers, fisherman, and nature lovers, and really appreciated the my new Florida 67 Series, a film documentary of ‘Wild florida’. One more show for the season, and then I’ll be shooting all summer long and getting ready for my Fall 2012 exhibitions. What a nice ending to the Winter/Spring season, I can’t wait to come back next year! Congratulations on your award Richard!